The wait for this week's WOW badge is over! The topic this week was 'The Waiting Room' and the blog posts that we received in response to this prompt bowled us over! You shared your experiences and created metaphors in your blogs, and the result was that we got some really amazing blog posts! 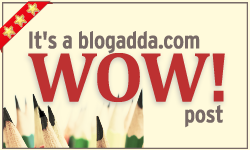 Congratulations to all blogs that Wowed!